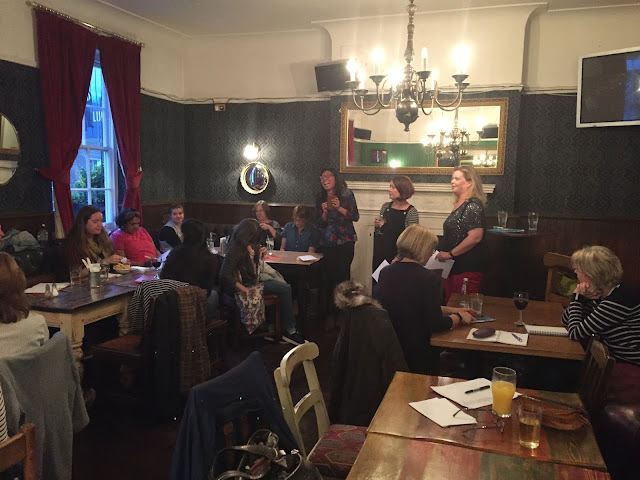 Jenny Rees reports back on the London SCBWI Industry Insiders workshop where industry experts Karen Ball and Sara Grant delivered an interactive session to help members perfect their pitches to agents. 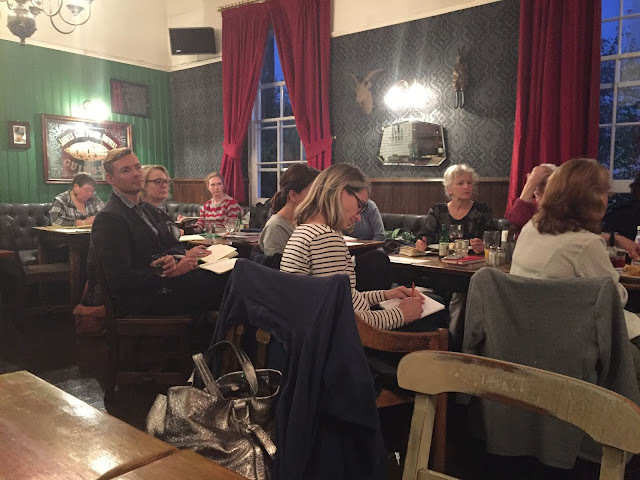 The room above the Lukin pub, home for many SCBWI events, buzzed with anticipation while conversations flowed like good wine, burger and chips (also on the menu). 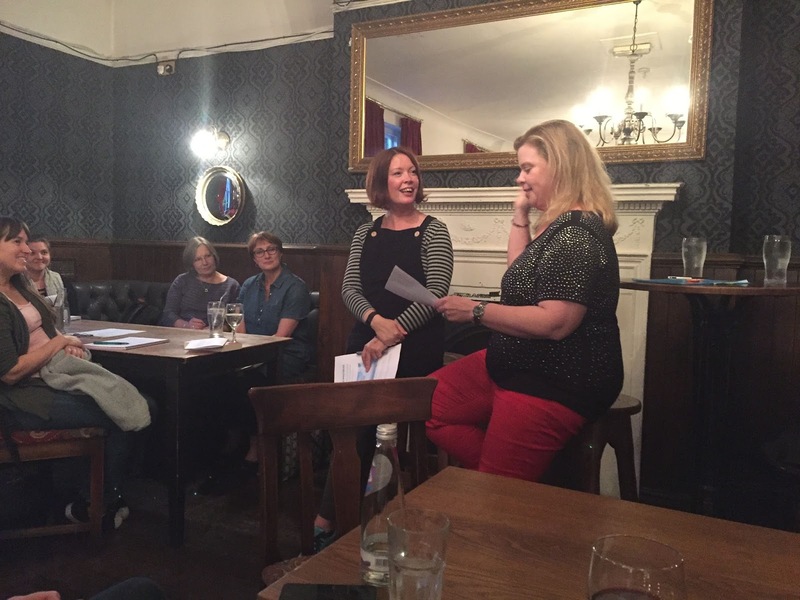 Old and new members chatted and compared notes, genres and plots before Sara Grant and Karen Ball began their very entertaining and informative workshop on how to pitch successfully to an agent. Sara and Karen, Karen playing the agent and Sara the wannabe client, gave three well-crafted and very funny examples of how not to pitch to an agent and why. 1) Sara literally pitched into her ‘sell’ not pausing for breath, windmilling extravagantly and leaving no space for the agent, Karen, to ask questions or take in the bombardment. Karen the agent's feedback: Don’t overwhelm the agent. Look for signals. If your book is not what she’s looking for, move on to one who may be interested in your subject, plot or genre. 2) Selling the deal – Sara told the agent she needed her next blockbusting bestseller that would make a great film. JK Rowling and Roald Dahl rolled into one. She talked about how merchandising would work but not actually much about the plot of her book. Karen the agent's feedback: Don’t give the hard sell, it doesn’t work. Don’t tell the agent how to do her/his job... They know how to do it. Be considerate of their time. 3) Self-effacing pitch – Sara told the agent her book’s not that good but her family and friends like it. Giving a disjointed pitch of her book as she was obviously embarrassed talking about it. Not saying what it’s about - not making eye contact. Karen the agent's feedback: If you don’t think much of your book, why would an agent? Don’t let nerves overwhelm you. A conversation ensued which is highlighted below after which we were then put in groups of twos and threes to write out a pitch and deliver it to each other and then critique each others' pitches. Again highly entertaining, impressive and very useful. Practice, but don’t over rehearse your pitch and don’t be word perfect. Go over points so the brain can do it without thinking. Be natural. It’s okay to have a sheet of paper in your hand as an aide memoire as long as you glance at it, not hold it in front of your nose. Be natural. You are talking to a person who also loves children’s books and is a human being like you. Learn mechanisms to get past your nerves. Be confident but do not monopolise their time. Be respectful of your time with the agent. If there is a queue behind you, be aware of this and keep your pitch concise. Three minutes should be the most unless of course the agent is asking more questions. Break your pitch into short sentences. Breathe between sentences. This will make you look as though you’re giving a dramatic framework to your presentation but also gives the agent thinking time and possibly time to ask a question. No one is watching you as closely as you are watching yourself, so relax. If you use an elevator pitch, gauge the age of the person you’re talking to. A young person may not know the references you are using. E.g. ‘It’s Mork and Mindy meets the Jetsons.’ (Even I only just remember them and I am very old). Don’t say, ‘this happened, then this happened, then this....... They do not want a blow by blow account of the book. Do some research on the agent beforehand so you have an awareness of them, their agency, authors, anything currently going on. This shows you have an interest in the world of publishing and them. (But not so much that it looks like stalking). Be prepared to talk about yourself if asked. Make it pertinent to the subject of writing and your background and reasons for writing this particular novel etc. Show some details of the inspiration behind your book. The agent will not want to see your manuscript. Remember there will be no tables (usually) at which you can sit and spread out your work and giving material to an agent is probably not a good idea. Where are they going to put it? How are they going to take it home? If you are an illustrator it’s acceptable to bring a sample (one) of your drawings but not a portfolio. Find out if the agent you are talking to represents PBs if not move on because you are probably wasting their time and yours. Show knowledge of the market. Be punchy. Get to the heart of the story. If there is a message in story, be Subtle. If you hammer it in the pitch it will turn off the agent who may think it is not subtle in the book. Finish your pitch on a cliffhanger. On a high. On a hook. But don’t let it just fizzle out. Jenny Rees has been a member of SCBWI since 2012 and a volunteer, helping the Industry Insiders (London) team since the beginning of this year. She has written five middle grade novels and is seeking an agent. 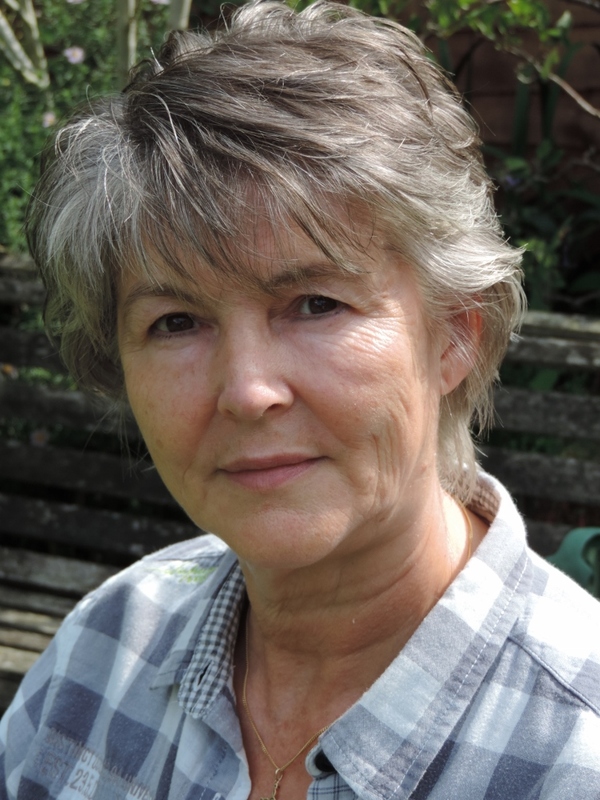 Between writing her stories, Jenny writes, directs and sometimes even acts in pantos for her local drama group. Oh yes she does!